Many people have been attracted to the increasingly popular idea of going small by either buying or building a tiny house. If you fit into this category, it is important to be as well-informed as possible about the tiny house trend, knowing what to look for in terms of sustainability, building materials, VOCs, efficiency, and functionality. Also, it helps knowing what communities have been formed around tiny houses, often on shared plots of land. As you will soon discover, there is plenty of valuable information on the subject that’s available to you. Whether you plan to own a tiny home on an individual basis or as part of a shared community, plenty of well-thought planning needs to be part of the design process. How are infrastructure issues like power, water, sewer, and waste management handled? Then there are other issues to be aware of, such as building codes, real estate taxes, fire protection, and insurance. 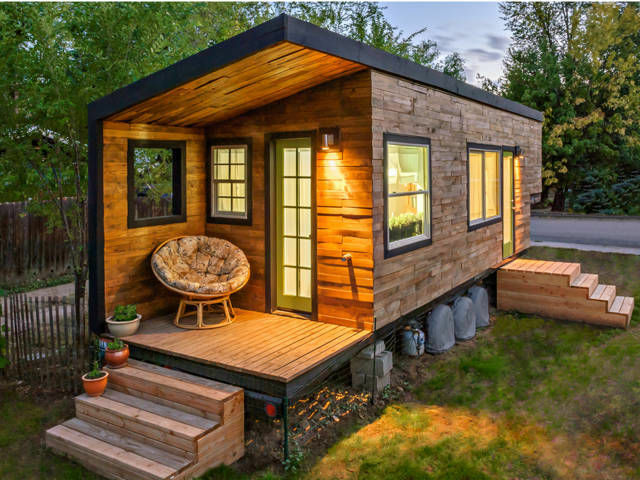 Although the idea of living in a tiny home may seem as fanciful as planning for a long camping trip, there are abundant potential hurdles which need to be addressed. According to The Tiny Life, the tiny house trend “is a social movement where people are choosing to downsize the space they live in. The typical American home is around 2,600 square feet, whereas the typical small or tiny house is between 100 and 400 square feet. Tiny houses come in all shapes, sizes, and forms, but they enable simpler living in a smaller, more efficient space. How big is a tiny house? A little bit of history might help here. Tiny houses around the country reflect people deciding to downsize their lives and reduce their living expenses. These structures often measure less than 400 square feet. Quite a bit of downsizing is going to be required, if you happen to live in an average modern American home featuring almost 3,000 square feet. 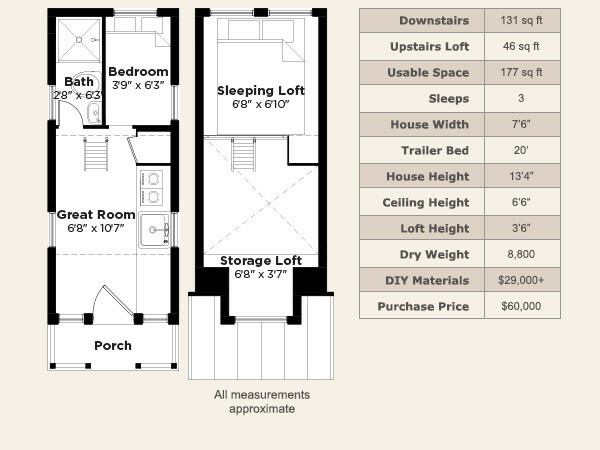 Without adding anything else, these average compact sizes total 324 square feet. And other than a closet, we’ve said little about storage. And remember, you always must include the outside walls when measuring the square footage of a home. So when designing a tiny home, you have to wear the most small, practical, and logical thinking cap. This includes room sizes, ceiling heights, and any walls you might want for privacy. Small houses were once far more common in the US. In the 1950s post war-veterans were introduced to an affordable subdivision in Pennsylvania, Levittown. This subdivision featured homes averaging 750 square feet. Each house had two bedrooms, one small bathroom, and an eat-in kitchen; all its rooms were arranged on a concrete slab whose dimensions were twenty-five by thirty feet. Then Americans began to build larger and larger. 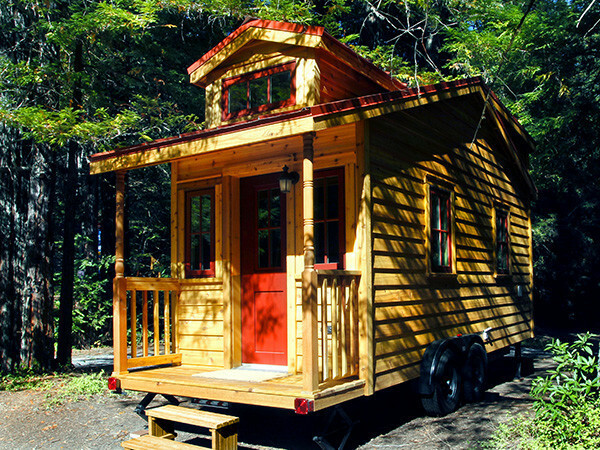 Now the tiny house trend stands as a reversal from living large to living small. Many years ago, I had the distinct pleasure of spending time in a tiny, old Airstream parked deep in the woodlands of northern Michigan. Belonging to he family of a friend, I was invited to spend a few days by myself in what was generally used as an overnight hunting shelter, equipped with bottled gas for cooking. A shower wasn’t provided and I did have to bring my own water, which was fine for a three-day stay. Beautiful as this rustic setting was, I had no intention of living there on a more permanent basis. Some tiny homes are fixed to the earth on which they’re built, while others are little different from RVs decorated to look like houses. Does anybody remember the Winnebago craze in the 1970s? That was when gasoline was cheap, most everybody was paid well, the middle class had disposable income, and a ton of folks wanted to tour the country by riding in their own house. If your tiny house happens to be on wheels, keep in mind the many expenses which come with parking overnight in a campground serving RVs. There are generally parking fees, waste fees, water and electricity charges. Some tiny house designers do attempt to provide their own heat and electricity using solar panels and battery systems. Water, sewer lines, and refrigerators are items which were never meant to hit the road. 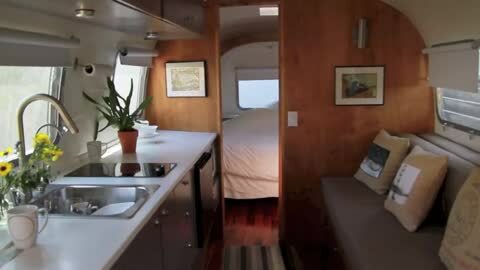 The floor-plan on the right for the Elm 18 might give some idea about how a 177 sq ft tiny home on wheels can be configured, what its materials cost is, and how much a finished product costs, shipped directly from the showroom of the Tumbleweed Tiny House Company. But if you do own a tiny house on wheels, make certain you know where to legally park it and reside in it. Some municipalities are starting to look more closely at tiny home. Finally, know the materials which have been used to create your tiny house. If plywood or laminates have been used, make certain there is no gassing of VOCs. The same holds for whatever paints and finishes are used. Ventilation is very important. Remember, you are living n the inside of a very small, contained space. And always make certain you re comfortable with the headroom and leg room you’ve allowed yourself.